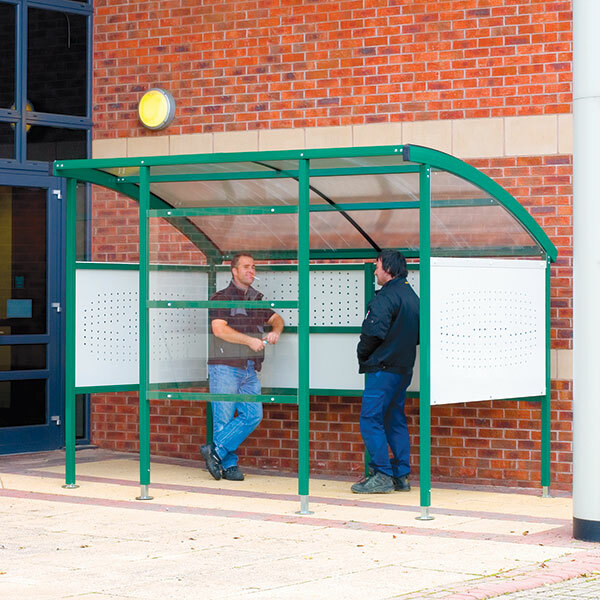 The selection and installation of a smoking shelter can represent a significant investment for a company, both in terms of financial outlay and expertise needed. This is why ESE Projects offer a free measuring and advice service and can manage the entire process from product selection to installation. Our shelters tend to be made from powder-coated metals with a Perspex roof, making them suitable for year-round use and resistant to corrosion. Even if you only have a handful of smokers at your workplace, it is common for people to take their cigarette breaks together, so you should consider something with enough space for everyone. Here you can chose between free-standing structures, accessible from both sides, a one-sided shelter that runs along a wall or a simple canopy style that mounts to the wall and doesn’t have any walls. This will all depend on available space, access and terrain, and is something that our product experts can guide you through. 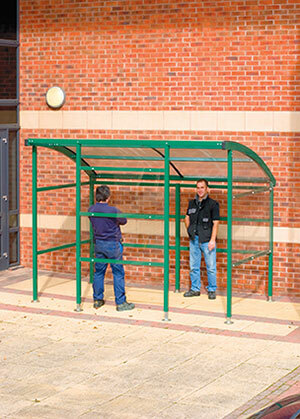 Some smoking shelters are fully enclosed, whilst some leave smokers open to driving rain or without adequate UV protection from the sun. Again, we can advise on best practice and give you options to choose from.